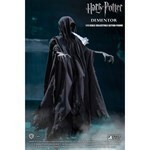 The Dementor, a terrifying being who feeds on human happiness is capable of consuming a person’s soul. 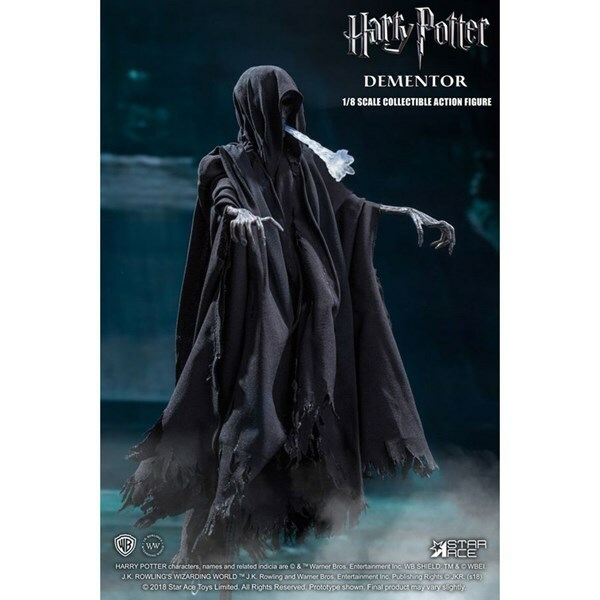 This terrifying creature has now been recreated as a 1/8th scale action figure with the authentic likeness of the dark creatures from Harry Potter and the Prisoner of Azkaban. 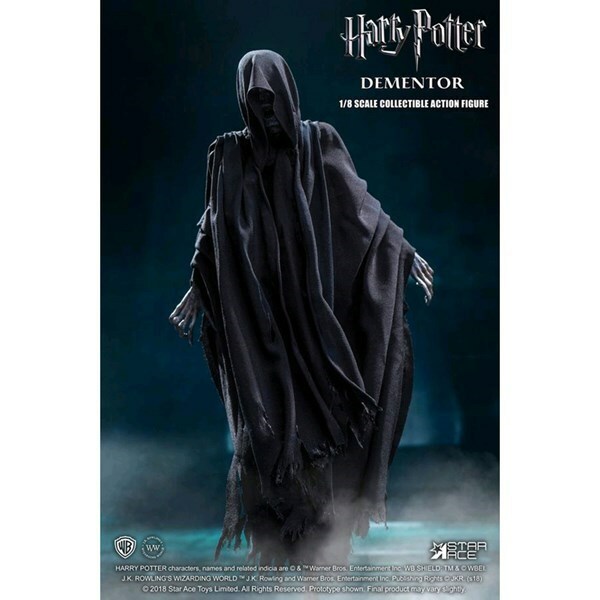 Standing at approximately 9” tall, the articulated Dementor 1/8th Scale Action Figure features a movie-accurate facial expression on the hand-painted head sculpt, and detailed skin texture, and comes in a Black Shroud costume finished with weathering effects. 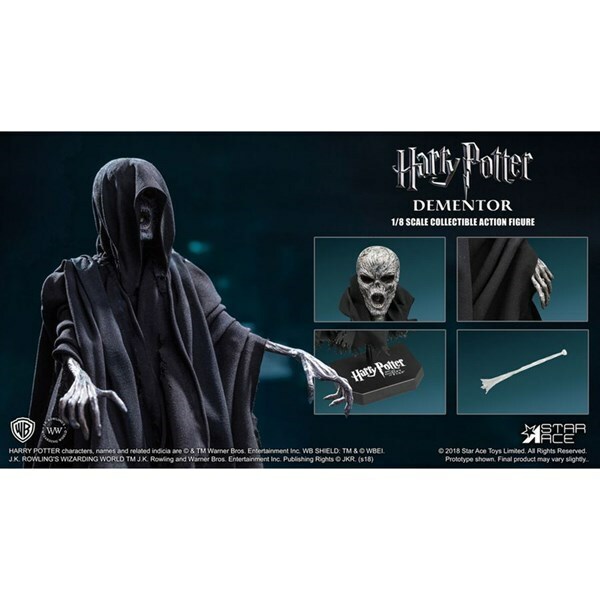 The Dementor also comes with multiple accessories, including 2 sets of interchangeable hands, 2 translucent Dementor’s Kiss effects, and a movable figure stand for display. 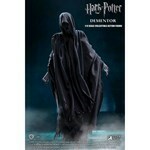 Add the Dementor 1/8th Scale Action Figure to your Harry Potter collection. 1/8th scale body, approximately 15.6 cm tall (without feet). 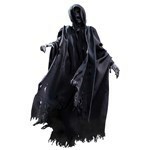 Authentic likeness of a Dementor from the movie "Harry Potter and the Prisoner of Azkaban." 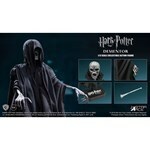 Head sculpt and skeleton are specially hand-painted. 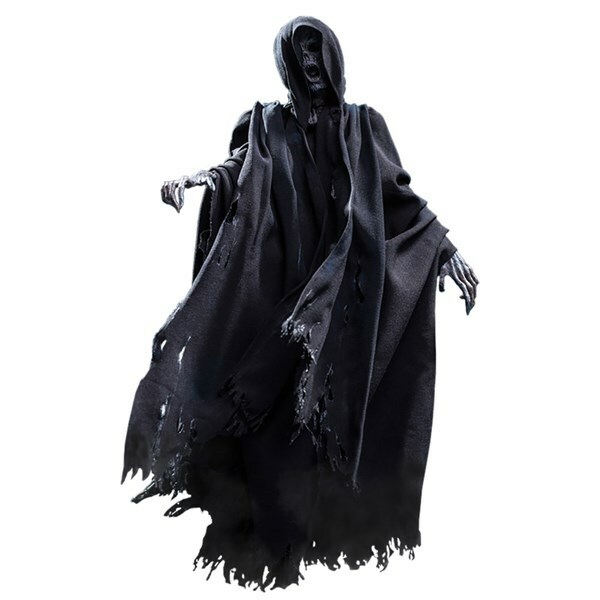 Black shroud with weathering effects. Figure Stand with bendable arm for flying pose.